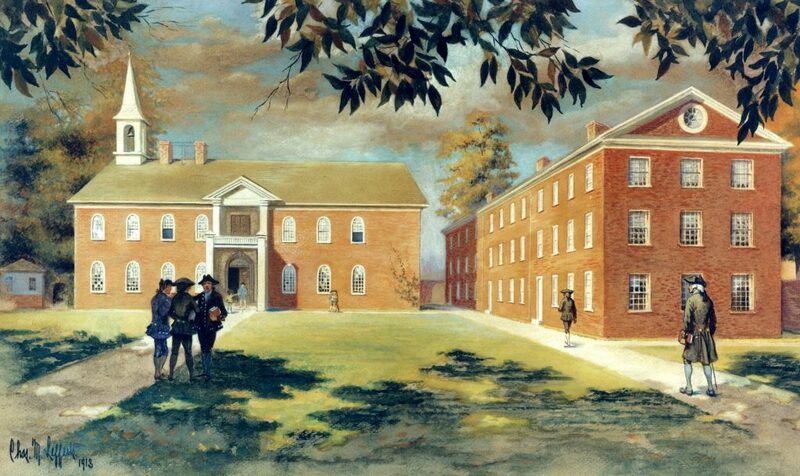 Philadelphia native Edward Biddle was listed as a student in the Academy of Philadelphia from 1752 until 1755. An unusually able student, he served for a time as an assistant in the Academy’s English School. Entering the Pennsylvania provincial militia as an ensign in 1754, he rose to the rank of captain at the time of his resignation in 1763. After studying law and being admitted to the bar, he practiced law in Reading, Pennsylvania. Biddle was politically active at the state and national levels during the American Revolution. He was a member of the Pennsylvania assembly from 1767 to 1775 and then in 1778, serving as speaker in 1774. He was a Pennsylvania delegate to the Continental Congress in 1774-1775. In 1775 he was also a member of the provincial convention held in Philadelphia. At the time of his death in 1779 Biddle had just been named a trustee of the Academy and College of Philadelphia (now the University of Pennsylvania).